What’s a “Verified Campaign” anyway? Wondering about the “Verified Campaign” labels that you’ve seen on our site? Wonder no more! 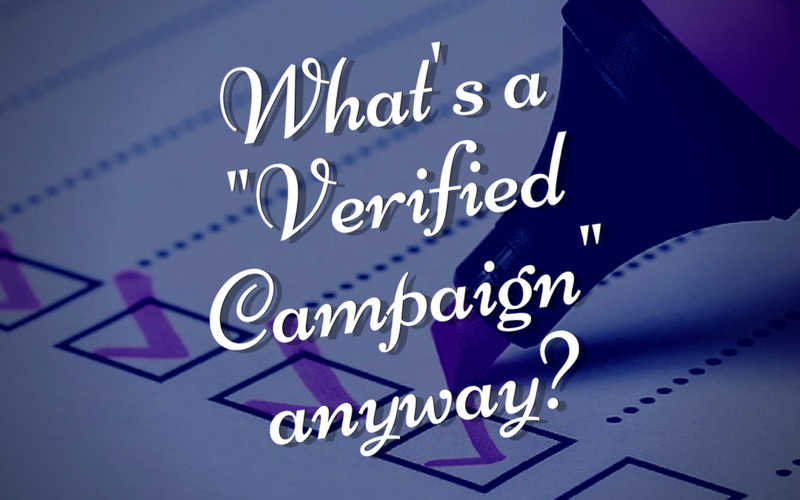 Here is everything you need to know about verified campaigns and the verification process. How does The Chesed Fund verify a campaign? We then review the documents and cross check them for authenticity, and we reach out to the references and ask them questions about the situation. We check to make sure all the documents and references match up. What information is The Chesed Fund looking for when verifying a campaign? We need as much info as possible to show that the campaign is authentic and does not contain any uncertainties. We use documents and references to confirm this. If we find any discrepancies between what the references tell us and/or the information provided in the supporting documents or if we suspect any fraudulence, we cease investigation of the campaign and return the verification fee. What references should I provide? The references you submit are up to you, but ideally, you will want to send in references who are very familiar with your cause and who are easy to get in touch with (this will speed up the verification process). If we happen to know a mutual acquaintance, we may contact them as a reference. What is the cost for verifying a campaign? The verification fee is $100 per campaign, and it is paid through the verification form. We charge a fee for this feature for a few reasons, but the main reason is because we want to deter ill-intended people from requesting verification for an illegitimate campaign which would just waste our staff’s time. How can I get my campaign verified? You will need to fill out and submit a secure form on our site. All information collected for the verification is kept strictly confidential. No – it is completely optional. It is a great feature for people who will be spreading their campaign extensively because people who land on their campaign page will be more likely to donate if they see that the campaign has been verified for legitimacy.